Businesses from the Lake District’s China Forum will be hosting a special event in London next Tuesday, 26 April 2016, to showcase the region to the UK’s ever increasing Chinese visitor market. The China Forum has arranged the reception in the prestigious Merchant Taylors Hall in central London to help increase awareness of England’s largest national park and some of its best tourism attractions and providers available to both Chinese tour groups and independent travellers visiting to the Lake District. The number of people travelling to the UK from China is expected to treble by 2020 and Cumbrian-based businesses will also be using the session to better understand the specific travel and cultural needs of prospective visitors from the world’s most populous country. 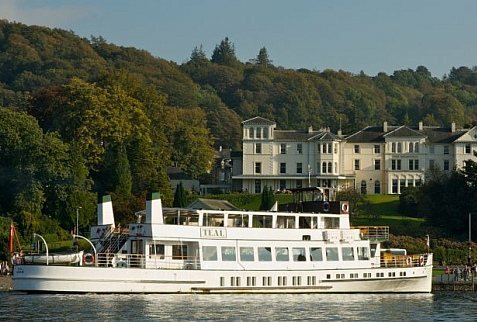 One fifth of passengers travelling on Windermere Lake Cruises come from overseas and the attraction has seen a steady increase in the proportion of visitors from China in recent years. The event has been arranged by the Lake District China Forum as part of a long-term series of activity to strengthen business links with the economic powerhouse, including a recent trade mission to Beijing to meet Chinese tour operators and buyers, and subsequent representation to Hangzhou and Shanghai. For more information, please contact: Heather Sewell on hsewell@cumbriatourism.org / 07795 487003 / 01539 825003.